Excited about the Thanksgiving holiday? So are we! 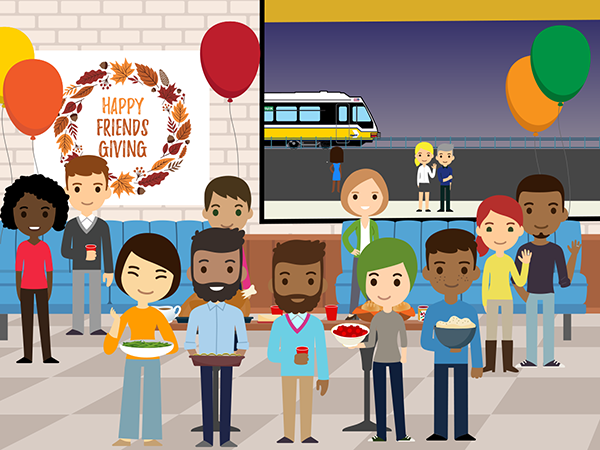 Join us as we celebrate the three things DART is thankful for this season. Construction begins next year on the Cotton Belt, bringing additional rail services to North Texas and making it easier for residents and visitors to get around. The D2 Subway will open in 2024, transforming downtown Dallas with two light rail lines, three new subway stations, and one new ground-level station. DART partners with Union Gospel Mission each year to host the Friendly Food Fight. This annual food drive has collected more than 230 tons of food and raised over $90,000 for the community since 1996, as part of DART’s efforts to help wipe out hunger in North Texas. DART also hosts the annual DART “Stuff a Bus” event, which supports North Texans by providing socks and blankets to area nursing facilities, as well as unwrapped toys and canned food for needy North Texas children and families. DART Police volunteer each year in the Santa Cops program, which provides meals and toys to needy families during the holiday season. DART police officers donate money and solicit contributions from local organizations to assist hundreds of needy families. Did we say three things? We have to add a fourth: we’re thankful to be part of North Texas and have the opportunity to serve this wonderful region. Happy Thanksgiving to you and your loved ones! 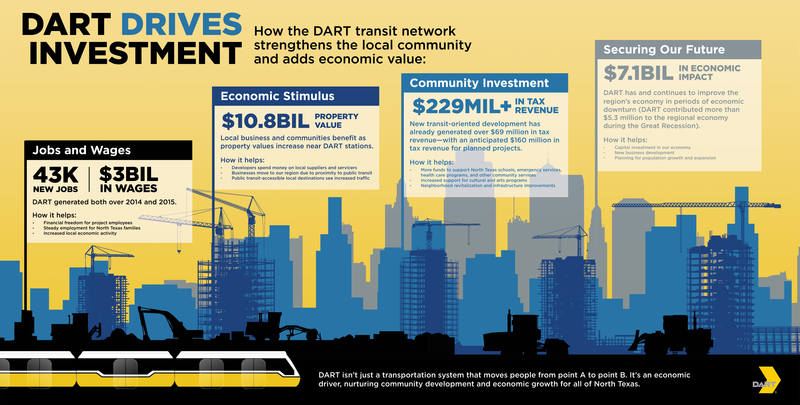 Stay tuned to DART Daily through the holidays and beyond, as we keep you up to date on all things DART! This entry was posted in Capital Projects, Cotton Belt, D2, General, Projects. Bookmark the permalink.